How Can All Religions - and the Non-Religious - Work Together to Create a Better Society for All? 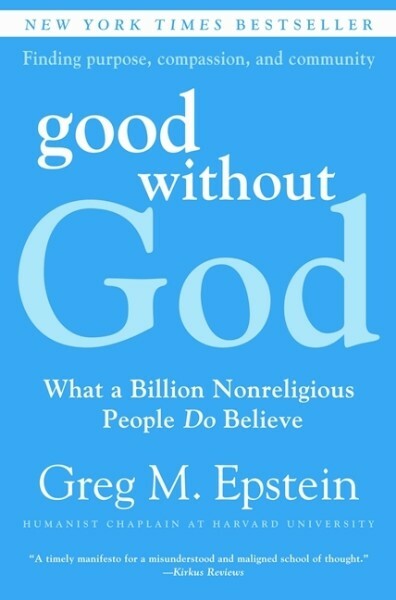 Greg M. Epstein, author of the New York Times best-selling book Good Without God: What a Billion Non-Religious People Do Believe (William Morrow), serves as the Humanist Chaplain of Harvard University. He directs the Humanist Community Project at Harvard, a laboratory for the development of multicultural, multigenerational Humanist communities both locally and nationwide, and has been called "the most outspoken voice for Humanism in the United States" by New York magazine. 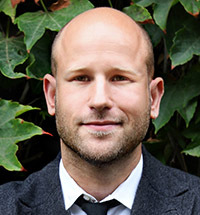 An in-demand lecturer and presenter, Epstein has spoken at the White House as part of the Obama administration's symposium on "Advancing Interfaith and Community Service on College and University Campuses" and at universities, conferences, religious institutions, and Humanist and ethical organizations all over the world. His writing has been featured by CNN, Newsweek, The Washington Post, The Boston Globe, and The Washington Post, and was recognized as the 'Best of 2012' by WBUR, Boston's NPR affiliate. His work as a Humanist chaplain and rabbi has been featured in The New York Times, on ABC World News with Diane Sawyer, Al Jazeera, NPR's Fresh Air with Terry Gross, CNN, BBC Radio, Newsweek, US News and World Report, USA Today, Boston Globe, The Jewish Daily Forward, and The Guardian. Under his leadership, The Humanist Community Project at Harvard has become the first-ever student and community center for Humanists, atheists, agnostics, and the nonreligious associated with any U.S. college or university campus. When Greg began serving as Harvard's Humanist Chaplain in the fall of 2005, the Humanist Chaplaincy's total annual budget was $28,000. During his seven years at the helm, Epstein has raised over $1.7 million in gifts and pledges to the organization, helping to launch the Harvard Humanist community into a topic of national discussion. In Good Without God, as in his speaking, organizing, and teaching, Epstein delivers a constructive, challenging response to recent secular manifestos, one that focuses not on the head of atheism but on the heart of Humanism. Rather than seeking to destroy religion, Humanists strive to live well, build community, and be good without supernaturalism, without higher powers ... without God. At a time when the debate about faith and morality rages more fiercely than ever -- and when millions are searching for something they can put their faith in -- Epstein discusses his views on how Humanism offers comfort and hope that affirms our ability to live ethical lives of personal fulfillment, aspiring together for the greater good of all of us. In 2005, Epstein received ordination as a Humanist Rabbi from the International Institute for Secular Humanistic Judaism, where he studied in Jerusalem and Michigan for five years. He holds a BA in religion and Chinese and an MA in Judaic studies from the University of Michigan, Ann Arbor, and a Masters of Theological Studies from the Harvard Divinity School. He serves as Vice President of the 36-member corps of Harvard Chaplains, and is an adviser to two student groups at Harvard College, the Harvard Community of Humanists, Atheists, and Agnostics (HCHAA), and the Interfaith Council, and also works with the Harvard Humanist Graduate Community. He serves as technical advisor to the Aspen Institute's "Inclusive America Project," headed by former US Secretary of State Madeleine Albright. From 2007-2011 he chaired the Advisory Board of the national umbrella organization the Secular Student Alliance, joining such renowned nonbelievers as Richard Dawkins and Christopher Hitchens. Epstein grew up in Flushing, Queens, "the most diverse neighborhood in the most diverse borough in the most diverse city on the planet," as an assimilated and disinterested Reform Jew. He studied Buddhism and Taoism while at Stuyvesant High School in New York City, and in college went to Taiwan for a semester aiming to study Ch'an (Zen) Buddhism in its original language and context. Finding that Eastern religions do not necessarily have greater access to truth than Western ones, he returned to the U.S. and shifted his focus to rock music, recording, and singing professionally for a year after college. Soon thereafter, he learned of the movement of Humanism and the possibility of a career as a Humanist rabbi and chaplain. "[Epstein is] perhaps the most outspoken voice for Humanism in the United States." "[Epstein is] one of the [Humanist] movement's most promising young leaders." "Good Without God is not just a brilliant book title but an indispensable and humane ideal. Greg Epstein's wise and warm explanation of the humanist world view goes beyond the recent atheist bestsellers and speaks to the moral and spiritual impulses that have traditionally attracted people to religion." "In Good Without God, Greg Epstein shows us what it means to cross boundaries, build bridges, and work toward a society where people from all backgrounds live in equal dignity and mutual loyalty." "A passionate introduction to the philosophy of humanism.... Epstein's convivial argument gets beyond the hairsplitting, condescension and animosity of so-called New Atheists like Richard Dawkins, Christopher Hitchens and Sam Harris to arrive at a constructive ideology that explains why it's important to be good even without the presence of the Almighty, and how to do it.... An effective primer on humanism.... A timely manifesto for a misunderstood and maligned school of thought." "An updated defense of humanism in response to the belligerent attacks on religion put forward by such new atheists as Richard Dawkins, Sam Harris and Christopher Hitchens.... [Epstein's] most impassioned argument is with megachurch pastor Rick Warren and other evangelicals who believe secularism is the enemy and a moral society impossible without a belief in God." "Epstein's vision is highly inclusive and emphasizes the vast common ground between the religious and nonreligious without diminishing or compromising the obvious differences.... [A] passionate collection of thoughts and ideas." "[Epstein] persuasively claims that the humanist approach to life can provide the nonreligious with purpose and dignity. A thoughtful account of an often contentious topic."